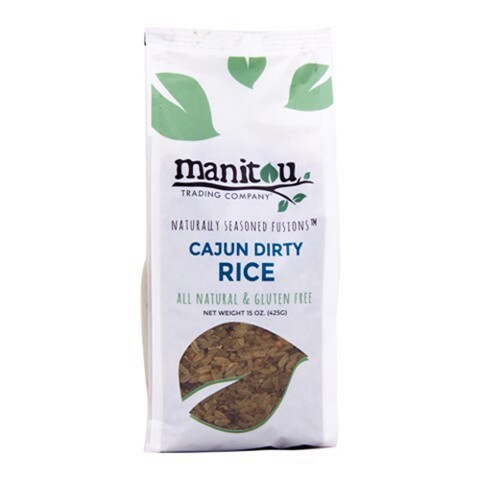 Cajun Dirty Rice Blend is a flavorful and slightly spicy blend of rice with traditional seasonings and vegetables. We created this mix of herbs, spices, vegetables and aromatics for a quick and easy but flavorful side dish to add to your Southern-style cooking. Basic preparation: Bring 2 cups of water or stock, 1 tablespoon butter and 1 cup Cajun Dirty Rice to boil, stir, then reduce heat and simmer, covered, until rice is tender, about 9 to 11 minutes. Let stand 2 to 3 minutes. Fluff with a fork and serve.